Aqua Medic is taking a fairly unique approach to the world of calcium reactors with the introduction of their Calciumreactor KR Blue. Recently shown off on their Facebook page, this reactor is built off the same hardware as their Nitratereductor reactors, and looks much like a canister filter in that its media is divided up among three different trays. 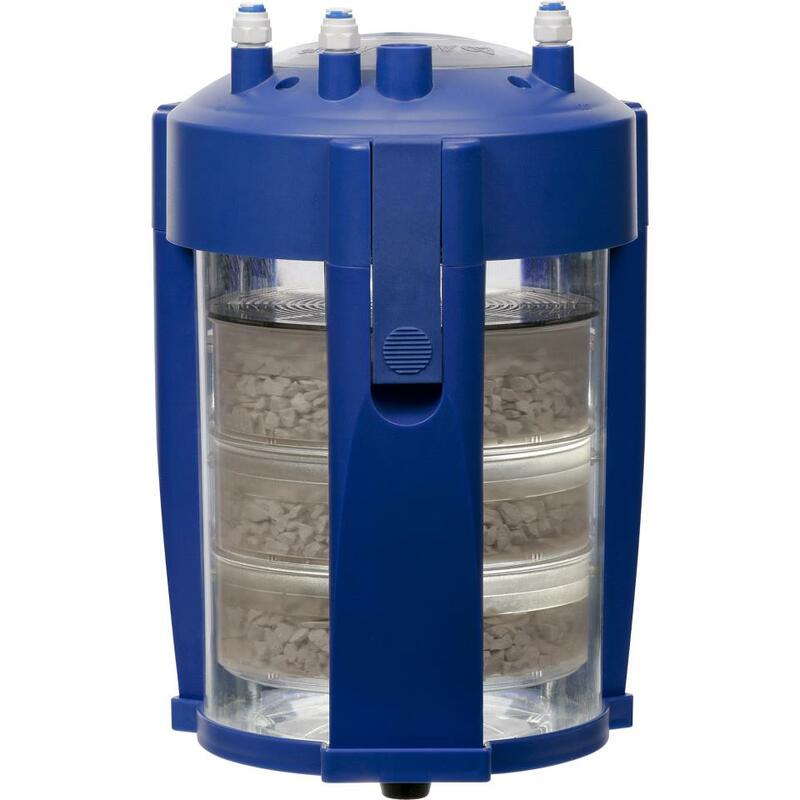 Additionally, instead of using a tall, cylindrical body, this calcium reactor uses a much shorter body that is designed to fit into most aquarium stands, making its use a bit more universal. While the Calciumreactor KR Blue looks a bit different than your typical reactor, the differences appear to be mainly aesthetic. 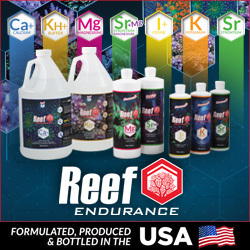 Aqua Medic has yet to come out with a full parts list or detailed imagery, but from the looks of it, the reactor still has the basic components needed to deliver calcium to your reef aquarium. That said, some of the ammenities found in other reactor models don’t appear to be present on the Calciumreactor KR Blue. The recirculation pump is built right into the lid, pushing the CO2 laden water to the bottom of the reactor and allowing it to flow upward through the media. This bottom-up flow provides the best dissolution of the calcium media, and it’s the same method found in most other reactors. Also located in the lid of the Calciumreactor KR Blue is a port for a pH probe, which is vital to communicate with your aquarium controller or pH controller to let it know when to turn the CO2 off and on. Flow into and out of the calcium reactor are controlled by a dosing pump, which is sold separately, though we’re sure those inexpensive low speed powerheads would also suffice. The typical bubble counter is not included in this reactor, which is unfortunate because most of the reactors on the market today use them, and it’s certainly a good feature to have. That said, many of the CO2 regulators are sold with them already attached. We did not see a CO2 port on the renderings of this calcium reactor, so we’re not sure where the gas will be injected. Since the reactor is based off of a sulfur denitrator, where the dissolution of sulfur lowers the pH, there may not be a CO2 inlet. But again, this is just going off of the renderings mainly. We hope these missing features will be included in the reactor and that the images are just copied renderings. The Calciumreactor KR Blue is rated for aquariums in the 65-270 gallon range, according to its description. No dimensions or price points were given, though I’m sure they’ll surface in no time.